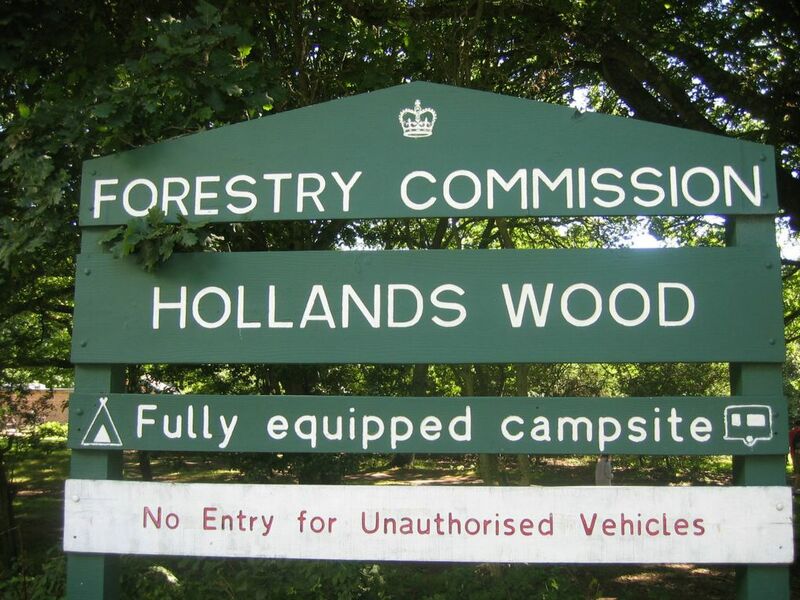 On our last camping Bank Holiday weekend of the year, we went with our good friends Lizzy and Dave to the New Forest. Sam and I went down to Brockenhurst on the Friday afternoon and Lizzy and Dave joined us on the Saturday afternoon. 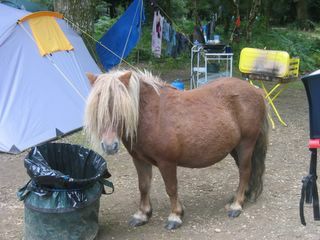 On Friday night Sam and I setup camp and headed for the local pub for a few pints of real ale…some New Forest speciality. I must say…after a few hours in the fresh air, it wasn’t long before the ale finished us off…straight back to camp. The weather was absolutely delicious on the Saturday and Sunday so we took full advantage…on the Saturday evening we had a lovely meal on camp followed by a late night by the chiminea. On the Sunday we hired bikes and went for an 18 mile round trip from Brockenhurst to Burley to Lindhurst and back to Brockenhurst…to say we had sore backsides was an understatement – I blame the cheap rent-a-bikes’ rather than the lack of cycling experience. As usual with the New Forest, it was abundant with horses, ponies, cattle and the odd deer, thus encouraging a very relaxing weekend…what more could one ask for…good company and beautiful surroundings. 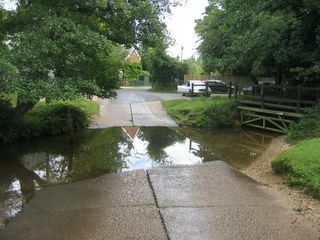 One of many fords around the New Forest…ideal for the roaming horses and cattle. 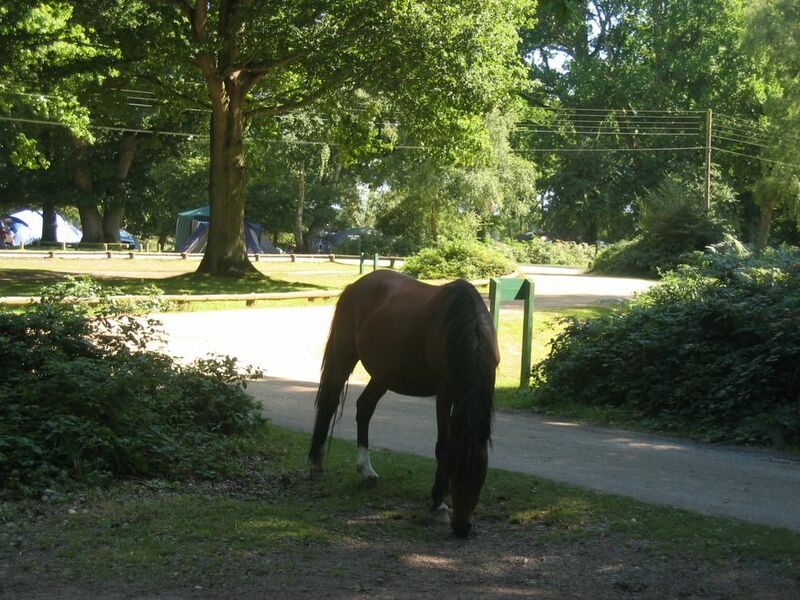 A horse just outside our tent…they come around when they smell food…. 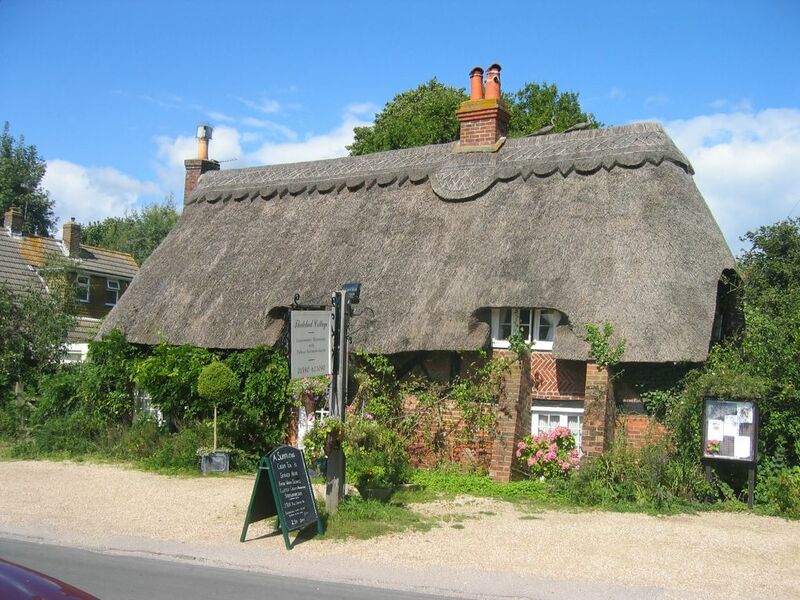 Our ideal house….although this was a New Forest Tea Room.